94 players (77 scholarship and 17 walk ons). 2017 — A CoSIDA first-team Academic All-American and All-Academic District 8 selection ... Named a Pro Football Focus first-team All-Pac-12 selection ... Named first-team Academic All-Pac-12 ... Started eight games while missing five games due to injury suffered during the California game ... Finished the year with a 167.51 passer rating going 139-of-206 for 1,983 yards passing and 15 touchdowns ... Averaged 247.9 passing yards per game ... 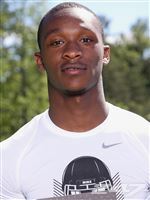 Rushed for 183 yards while finishing third on the team with five touchdowns ... 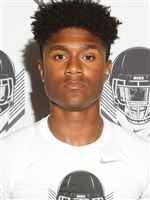 Returned from injury against Arizona, finished the game with 253 yards passing and one touchdown on 14-of-21 passing ... Also rushed for 49 yards against the Wildcats, including a career-long 40-yard TD run ... Went 26-of-36 in Las Vegas Bowl for 233 yards and two touchdowns while rushing for a team-high 17 yards ... Responsible for a season-high four touchdowns against Arizona State and Oregon State, throwing for three and rushing for one ... Threw for 281 yards against ASU off 19-of-35 passing ... Went 13-for-23 for 251 yards in a 69-10 blowout of Oregon State ... Finished the game against Nebraska 25-for-33 for 365 yards and three touchdowns ... All three touchdowns came in the first half against NU on 21-of-25 passing for 313 yards ... Earned the Davey O’Brien “Great 8” award following his performance against the Cornhuskers ... Completed 17-of-21 passes for 281 yards and one touchdown in season opener against Southern Utah ... Threw for 251 yards on 18-of-29 passing against Wyoming ... Recorded his first rushing touchdown of the season while rushing for 30 yards against the Cowboys ... Recorded two touchdowns, one rushing and one passing, in first quarter against Cal before leaving the game due to injury ... Was 7-of-8 for 86 yards against Cal ... Received UO's Offensive MVP and Academic Excellence Award honors as voted on by teammates. 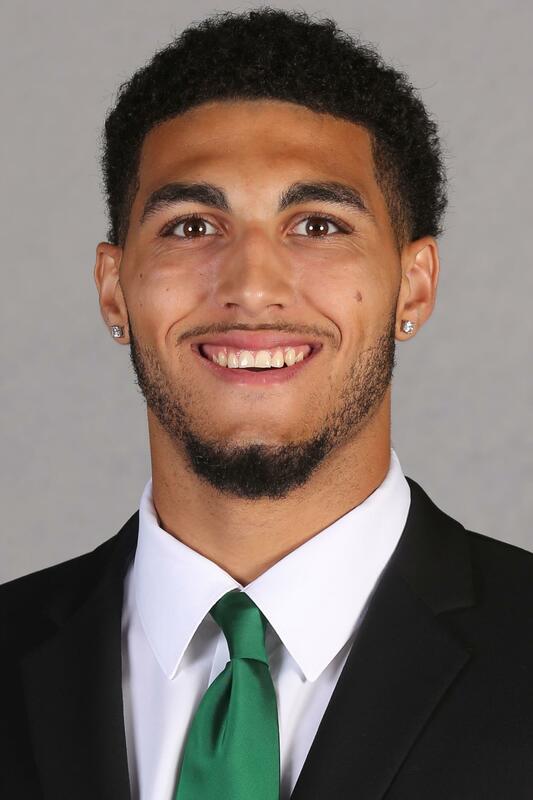 2017 — Appeared in 12 games, making 11 starts ... Named honorable mention All-Pac-12, while being named Phil Steele third-team All-Pac-12 Conference ... An honorable mention Academic All-Pac-12 Conference selection ... UO's top tight end and third overall receiver finishing the year with 320 receiving yards on 18 catches ... Led the team with five touchdown receptions and a 17.8 yards per catch average ... Career-high 95 receiving yards on four catches at Arizona State ... Caught a 39-yard touchdown pass against Arizona ... Had a 30-yard TD catch against Washington State ... Made first career start against Southern Utah ... Caught three passes for 55 yards and his first career touchdown reception vs SUU ... Finished with three catches for 33 yards and a touchdown against Oregon State ... Recorded one catch for 22 yards and a touchdown against Utah ... Pulled in one catch for 13 yards against Nebraska ... Recorded one catch for seven yards at Wyoming ... Caught one pass for eight yards at UCLA ... Made one catch for nine yards at Washington and in Las Vegas Bowl game against Boise State. 2016 — Saw action in 11 games finishing with six catches for 123 yards ... Made his career debut against Virginia ... Had a season-high three receptions 39 yards at Oregon State ... Had a season-best 70 yards receiving at Washington State including a 63-yard grab. 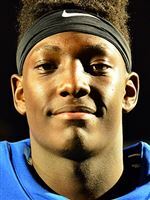 2017 — Named to the prestigious Football Writers Association of America (FWAA) freshman All-America team and the 247Sports True Freshman All-America Team ... Saw action in all 13 games while making 11 starts as a freshman ... Finished the season with 34 tackles including 4.5 tackles for loss and two sacks ... Recorded a career-high five tackles at Washington ... Made first career sack against Cal finishing the game with a four tackles ... Made four tackles, one tackle for loss, against Boise State in the Las Vegas Bowl ... Logged two tackles, including one sack, against Washington State ... Rated as the No. 1 interior defensive lineman in the Pac-12 following the game against the Cougars according to Pro Football Focus ... Made three solo tackles against Arizona State and Utah ... Recorded three tackles, including one tackle for loss, at Stanford ... Logged three tackles against Oregon State including 0.5 tackles for loss ... Assisted on three tackles against Arizona ... Earned first career start at Wyoming ... Recorded first career solo tackle against Nebraska finishing the game with two total tackles ... Made two tackles at UCLA ... Received the Freshman of the Year Award as voted on by teammates. 2017 — Walked on to the team midway through the season ... Redshirted. 2017 — Earned honorable mention All-Pac-12 Conference honors, while being named Phil Steele third-team all-conference ... CoSIDA All-Academic District 8 selection ... Named first-team Academic All-Pac-12 Conference ... 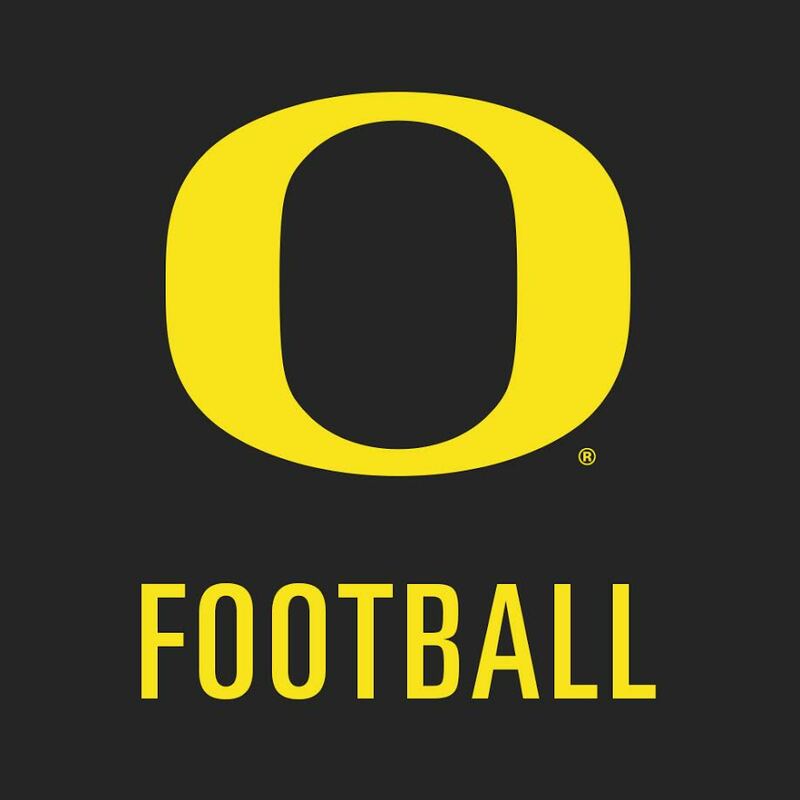 Started all 13 games playing the first 10 at right tackle before moving to right guard for the final three games ... Integral part in Oregon’s 3,263 rushing yards gained in 2017 ... Oregon finished the year ranked 12th in FBS, and second in the Pac-12, averaging 251.0 yards rushing per game ... Academic Excellence Award recipient as voted on by teammates. 2016 — An honorable mention All-Pac-12 selection … Named first-team Academic All-Pac-12 Conference ... Started all 12 games at right tackle as a redshirt freshman taking more snaps (939) than any other Oregon player on the offensive side of the ball … Key cog in the Ducks finishing second in the league in rushing (246.5 ypg) and 15th nationally in total offense (491.7 ypg) … One of four redshirt freshmen listed as starters on the final depth chart ... 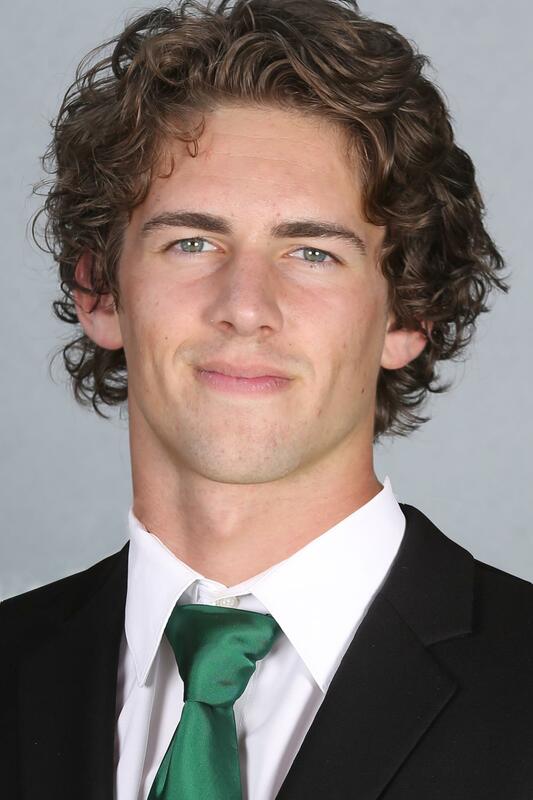 Helped the Ducks run for a season-best 336 yards and five touchdowns at Nebraska … Took part in more than 90 plays on three occasions (at California, vs. Arizona State, and at Utah), including 99 snaps against the Sun Devils. 2017 — Named second-team All-Pac-12 Conference, while also earning first-team all-league honors from Pro Football Focus and second-team accolades from Phil Steele ... Started all 13 games at defensive end finishing the season with a team-high 15 tackles for loss and 6.5 sacks ... Accumulated 59 total tackles and seven pass breakups ... Finished third in the Pac-12 Conference in tackles for loss and 10th in sacks ... Breakout game came at Arizona State with a career-high nine tackles, seven solo ... Also had a career-high five tackles for loss including three sacks ... Tied career-high with nine tackles in Las Vegas bowl vs. Boise State ... Made six tackles, 2.5 tackles for loss, at Stanford ... Also recorded one pass breakup and one QB hurry against the Cardinal ... Logged six tackles, 0.5 tackles for loss, and one QB hurry against Oregon State ... Also made one pass breakup leading to an interception return for a touchdown against the Beavers ... Recorded five tackles including two tackles for loss and one sacks against Utah ... Made first career start in the season opener against Southern Utah ... 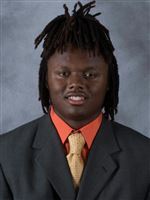 Recorded five tackles including one tackle for loss against SUU ... Blocked a 37-yard field goal attempt by the Thunderbirds ... Made five tackles with 1.5 tackles for loss, including one sack, against Washington State ... Logged four tackles, including one tackle for loss, at Washington ... Recorded three tackles, including an assist on a sack, against Cal ... Broke up a career-high two passes against the Golden Bears ... Made three tackles, including 1.5 tackles for loss and one sack, against Arizona ... Accounted for one tackle and one quarterback hurry in the game against Nebraska ... 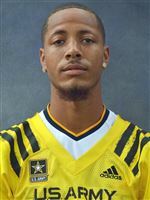 Recorded three tackles and a pass breakup at Wyoming ... Made one tackle at UCLA ... Received the Joe Schaffield Award, defensive line MVP, as voted on by teammates. 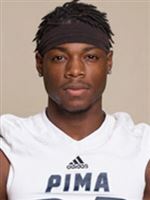 The 11th-ranked safety and 15th overall prospect in California by 247Sports … Ranked 116th overall according to 247Sports … A 247Sports four-star recruit … Named the California Metro Area Conference Defensive Player of the Year as a senior … A 2018 Under Armour All-American Game selection … Recorded 53 tackles, including four tackles for loss and one sack, as a senior … Broke up 14 passes and led the team with four interceptions … Scored two touchdowns as Edison's punt returner, averaging 21 yards per return … A dual-threat on offense and defense, catching 12 passes for 207 yards and two touchdowns as a senior … Also received offers from Arizona State, Boise State, California, Colorado, Eastern Washington, Fresno State, LSU, Nebraska, Oklahoma, Oregon State, San Jose State, USC and Washington State. The No. 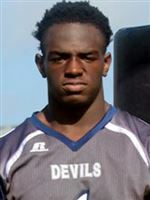 1 ranked recruit out of Colorado and 11th-ranked inside linebacker according to 247Sports … A 247sports four-star recruit … A 2017 first-team all-state selection … Invited to play in the 2018 Under Armour All-American game … Racked up 65 tackles, 54 solo, along with two interceptions and a fumble recovery as a senior … Accounted for 160 total tackles during high school career … Ran on the Mullen's track team, earning three first-place finishes as a part of the Mustang's 4x100 meter relay squad … Also received offers from Colorado, Colorado State, Florida, Missouri, Nebraska, Notre Dame, Ohio State, Penn State, TCU, USC, Utah and Wisconsin. 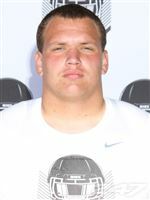 Ranked eighth in the country among offensive guards and 28th overall in California by Rivals … The ninth-ranked offensive guard in the nation and 30th-overall prospect in the state by 247Sports … Ranked 31st in the state and 16th at his position by ESPN … A 247Sports four-star recruit … Named first-team All-Southwestern League as a senior … Helped open holes for a Chaparral offense that averaged 205.7 rushing yards per game and surpassed 200 yards six times … Earned first-team All-Southwestern League honors as a junior … Paved the way for a running game that averaged 177.1 yards per game and went over 100 rushing yards in eight games … Also received offers from Boise State, California, Colorado, Iowa State, Louisville, San Diego State, TCU, UCLA, UNLV, Utah, Washington and Washington State. The 15th-ranked offensive tackle in the country and the No. 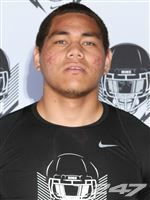 4 overall recruit out of Oregon according to 247Sports … A 247Sports four-star recruit … Selected to play in the 2018 Under Armour All-American Game … Picked to participate in the 2018 Polynesian Bowl … Helped Lake Oswego reach the Oregon State 6A semifinals his senior season … Named to the 2017 Class 6A first-team offense … 2017 all-league selection … Earned all-league and all-state honorable mention recognitions his junior year … Also received offers from California, Oregon State, TCU, UCLA, Utah, Virginia and Washington. The 26th-ranked athlete in the country and eighth overall prospect in Oregon by 247Sports … Ranked 33rd among athletes and eighth in the state by Rivals … A 247Sports three-star recruit … Transferred to Madison High School for senior season after spending first three years at Franklin High School … Missed all of senior season due to injury … Threw for 1,282 yards and 21 touchdowns while running for three more as a junior … A first-team All-Portland Interscholastic League selection at linebacker as a sophomore, helping Franklin to an OSAA 6A state playoffs appearance … Intercepted five passes and made 57 tackles while recovering two fumbles and forcing two … Also received offers from Hawaii, Oregon State, UCLA, Utah, Utah State and Washington State. 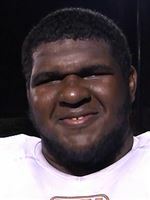 The 48th-ranked offensive tackle in the country and 70th-overall prospect in California by Rivals … Ranked 75th among all prospects in the state and 57th at his position by 247Sports … A 247Sports three-star recruit … Named first-team All-Mt. Baldy League as a senior … Opened holes for a Don Lugo offense that averaged 149.6 rushing yards per game and eclipsed the 100-yard mark in every game … Helped lead the Conquistadors to a CIF Southern Section Division 7 runner-up finish … A second-team All-Mt. 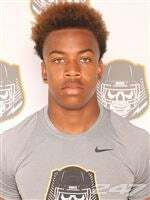 Baldy League selection as a junior … Paved the way for 246.5 yards per game on the ground and 34.1 points per game, helping Don Lugo to a Mt. 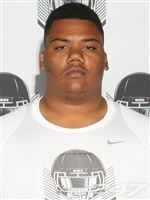 Baldy League title … Part of an offensive line that led the way for 164.5 rushing yards per game and 344.5 total yards as a sophomore … Also received offers from Arizona State, Fresno State, Utah and Washington State. 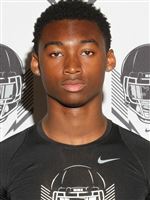 The ninth-ranked junior college cornerback and 13th-ranked player out of Arizona according to 247Sports … 76th-ranked overall prospect … A 247Sports three-star recruit … Originally committed to Indiana State, where he redshirted in 2014 before transferring to Pima Community College for two seasons … Ranked 86th among all junior college prospects in the nation according to Rivals ... Named a 2017 second-team NJCAA All-American … Received 2017 Western States Football League first-team defensive back and first-team All-Arizona Community College Athletic Conference honors as a sophomore … Recorded 45 tackles, 35 solo, and five pass breakups in 2017 … Two-time all-state and all-conference selection at Washington High School in South Bend, Ind. 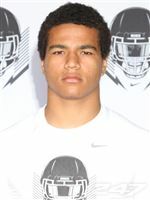 The 67th-ranked running back in the nation and 113th overall prospect in California by 247Sports … Ranked 96th in the state by Rivals … A 247Sports three-star recruit … Named the Big VIII League Offensive Player of the Year as a senior in 2017 … Ran for 2,383 yards on 255 carries with 34 touchdowns … Averaged 216.6 rushing yards per game and 9.3 yards per carry and ran for more than 100 yards in nine games … Racked up 1,878 yards on the ground on 259 carries with 15 touchdowns as a junior … Surpassed 100 yards eight times while averaging 7.3 yards per carry and 156.5 yards per game … Caught 29 passes for 465 yards and six touchdowns … As a sophomore, ran for 844 yards on 94 carries with nine touchdowns … Averaged 9.0 yards per carry and 84.4 yards per game … Brother of Oregon sophomore linebacker Troy Dye. 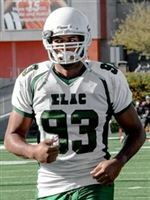 Ranked 30th among all junior college prospects in California and 32nd at defensive tackle by 247Sports … A 247Sports three-star junior college recruit … Played two years at East Los Angeles College … Ranked the 51st junior college prospect in the nation according to Rivals ... 2017 All-California Community College Region IV Defensive Player of the Year … Named the Metro League Defensive Player of the year as a sophomore … Recorded five sacks and 7.5 tackles for loss with 23 tackles and a forced fumble … Made 22 tackles and had two sacks with five blocked kicks as a freshman … Graduated from Kalani High School in 2016 … Named second-team All-Hawaii by ScoringLive as a senior in 2015 … Earned honorable mention all-state recognition from the Honolulu Star Advertiser … Selected first-team All-OIA … Recorded three sacks in a season-opening win … Also received offers from Arizona State, Georgia, Georgia Southern, Hawaii, Nevada, Oklahoma, Oklahoma State, Ole Miss, Oregon State and Syracuse. 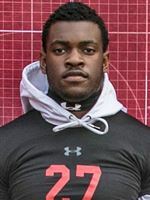 The 86th-ranked defensive end in the nation and 167th overall recruit out of California according to 247Sports … A 247Sports three-star recruit … Recorded 42 tackles, including 12 tackles for loss, eight sacks and two pass deflections as a senior … Helped Mater Dei win the 2017 California Interscholastic Federation Southern Section state title making three tackles and two sacks in the championship game against St. John Bosco … Made five tackles in Mater Dei's CIF bowl win over De La Salle … Invited to play in the 2018 Polynesian Bowl … Brother of Oregon freshman defensive lineman Austin Faoliu … Also received offers from Arizona, Illinois, Texas-San Antonio and Utah State. 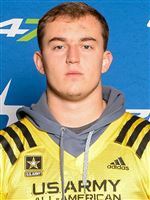 Named first-team U.S. Army All- America as a senior … Finalist for The Chris Rubio Award for top high school long snapper in the country … The third-ranked long snapper in the country according to 247Sports … Received first-team all-district honors his junior and senior seasons … Named District 26 Special Teams Utility Player of the Year as a junior … Crucial role in helping the Jaguars convert 40-of-41 PAT attempts in 2017 … Invited to play in the 2018 Army All-American game ... 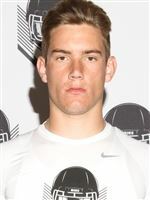 Completed one pass his senior year for 56 yards and a touchdown … Also received offers from Army and Incarnate Word. 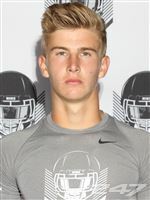 The 11th-ranked tight end in the nation and 31st-overall prospect in California by 247Sports … Ranked sixth in the country at tight end and 30th in the state by ESPN … A 247Sports four-star recruit … Selected first-team all-state by CalHiSports as a senior … Named to the Sacramento Bee's All-Metro team … Finished with 23 touchdown catches with 61 receptions and 1,063 receiving yards, averaging 17.4 yards per catch … Scored multiple touchdowns in seven of team's 13 games, including four three-touchdown performances … A standout defensively as well, recording eight sacks and 15 tackles for loss and 48 tackles … Caught 41 passes for 660 yards and five touchdowns as a junior in 2016 … Helped lead Christian Brothers to a CIF Division III Sac-Joaquin section runner-up finish … Also received offers from California, Colorado, Colorado State, Florida State, Hawaii, Oregon State, San Diego State, San Jose State, Texas A&M, UCLA and Wyoming. 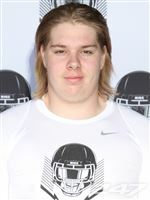 The 68th-ranked offensive tackle in the country and 24th overall recruit from Pennsylvania according to 247Sports … A 247Sports three-star recruit … Garnered first-team all-league honors as a senior … A 2017 Pennsylvania Football Writers First-Team All-State selection … Helped the Saints record more than 1,000 yards rushing in 2017 … Played a role in leading Neumann-Goretti to an 11-1 record and a state quarterfinal berth in 2017 after going 0-9 the year before … Also received offers from Boston College, BYU, Buffalo, Connecticut, Illinois, Maryland, Massachusetts, Michigan State, Missouri, Old Dominion, Pittsburgh, Rutgers, San Diego State, Syracuse, Temple, Texas Tech, Vanderbilt, Villanova, Virginia, West Virginia and Wisconsin. Fotu T. Leiato II Sr.